The music summer festival "The Sea and Guitars - guitar virtuoso Saša Dejanović & friends", under the slogan "Global Guitar", dedicates to classic guitar but also bridges guitar stiles, from jazz to flamenco, latin, ethno and rock. Performed by solo artists or accompanied by voice, string quartet, cello, xylophone and many other interesting combinations of instruments and performers. The Festival was founded in 2003 by guitarist Saša Dejanović at the small medieval town of Vrsar on the west coast of Istria. 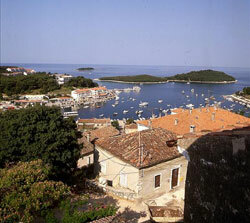 The town, beloved by artists, happens to be located on the one of the most beautiful archipelagos of the Mediterranean. 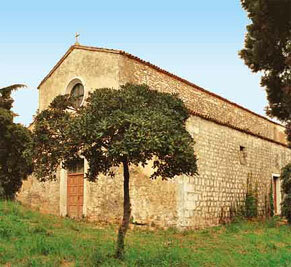 The concerts take place in ancient romanesque basilica of St.. Mary of the Sea (11th century) from 22th June till 7th September. This Festival is organized by the Tourist board of Vrsar, with the support of the Republic of Croatia Ministry of Culture , Maistra d.d. 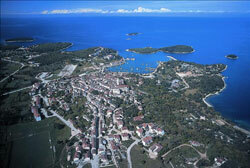 Rovinj - Vrsar, Municipality and Parochial Office of Vrsar, Östereichische Kultur Forum and Instituto Italiano di Cultura. Their promotion and generous help has made it possible for many to enjoy the events. In the previous years different artists from Tokyo, New York, Madrid, Seville, Cologne, Genoa,Turin, Wroclaw, Prag, Berlin, Graz, Sarajevo, Ljubljana, and Zagreb gathered together and performed in front of more than 5000 strong audience. The concerts have acquired a great interest by the media (television: HRT, RTL, Nit; radio: Radio Istra, Radio Pula; newspapers: Glas Istre, Slobodna Dalmacija, La Voce de popolo). 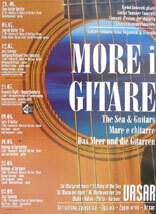 2011 - 9th Festival Guitaristra"The Sea and Guitars"
2010 - 8th Festival Guitaristra"The Sea and Guitars"
2009 - 7th Festival Guitaristra"The Sea and Guitars"
2008 - 6th Festival Guitaristra"The Sea and Guitars"
2007 - 5th Festival Guitaristra"The Sea and Guitars"
2006 - 4th Festival "The Sea and Guitars"
2005 - 3rd Festival "The Sea and Guitars"
2004- 2nd Festival "The Sea and Guitars"
2003 - 1st Festival "The Sea and Guitars"